Quick starting note: I saw that the new Five Nights at Freddy’s game had early released for let’s players. I have not seen any of the game yet, as of this posting. I hope to make a follow up post on this after reviewing the newest game. Five Nights at Freddy’s (FNAF) is a very simple game. Check your camera’s, check your corners and keep track of the animatronics that are trying to kill you. If you fail, they give you a jump scare. Simple mechanics, and a simple goal, live until 6 am. Each of the three games, at the time of this writing, gives you a way to defend yourself. The first game lets you close off doors, the second game gives you a mask to hide in and a flashlight to shine and confuse them and the third lets you play sounds to direct the animatronic around. Here’s a link to Markiplier’s Let’s Play of FNAF if you are unfamiliar. These are simple mechanics, but that doesn’t mean this is an easy game. There’s a learning curve and each night gets harder to complete. You may look at this game and think it’s just a simple horror game that tries to jump scare you. In a sense, you’d be right, but what looks like a simple game on the surface, there’s a deep complicated story hiding right underneath it. A sad story of children being murdered at a pizzeria, the mystery of who killed them, and why are these robotic children mascots trying to kill the security guard you play. I think Scott Cawthon, the creator, struck genius when he created this game. So much is going on and most of it subtle, and other’s hiding in plain sight. This started out as a fun game to watch people react to on Youtube, but as the game went on, and the story started creeping into my subconscious, it started to become a bit of an obsession to figure out the puzzle and how to put the pieces together. There are lots of great theories out there, but I want to talk about the one that bugged me the most, and hopefully add my thoughts and help solve one more part of this mystery. The mystery of who the Purple Guy is. In order to start getting into it, I need to establish the timeline I believe to be the true one. What’s the timeline of the 3 Five Nights at Freddy’s? The time line I follow is the one from Game Theorist’s timeline from his FNAF 2 video. How he breaks it down is that there are 3 Freddy Fazbear pizzerias, 1 FredBear’s Family Diner and now there’s an amusement park in 3 that isn’t covered in his video. By his timeline, the family diner we don’t play in was first, followed by a pizzeria that we don’t play in, then we are in FNAF 2’s pizzeria followed by FNAF 1’s pizzeria. To add to this timeline, based off the minigames in FNAF 3, the amusement park comes after FNAF 1. To establish the amusement park came after all the restaurants, I’ll explain further down. Now that my timeline is established, let’s get to the main attraction. Who is the Purple Guy? The Purple Guy, he is at the center of this mystery that drives the story of FNAF. The only places you see him are in 3 minigames in FNAF 2 and all the end level minigames in FNAF 3. His appearance is a tall humanoid guy as a shade of purple. When you see him is either killing a child, close to the corpses of 5 children, in a restaurant scene with some dead children and attacking Freddy, or dismantling Freddy and the crew. What this quickly establishes, the Purple Guy is the murderer. What this also establishes is that the Purple Guy is familiar with the animatronics and how they work. What the minigames are used for in FNAF are to help tell the story. They were introduced in FNAF 2 and used again in 3. From what I’ve seen of them, you don’t take what these games show as literal, they are an abstract view of what’s going on. An example of this is that there isn’t a literal purple guy running around killing children, he’s the representation of a man, given the shade of purple, probably to establish that he’s shady or something. How the Purple Guy is linked to the murders is shown directly in one minigame and indirectly in two others, all of which were in FNAF 2. The direct link was in the Take Cake to the Children mini game where Freddy is by himself delivering cake to kids, while one watched from outside. A purple car rolls up and then pops out the Purple Guy that stands next to him, in which you see the lone child start crying to which he eventually turns into a skeleton child. Now, there are a lot of subtleties going on in this one, like the children were turning red the longer they wait, probably to show they were a bunch of screaming rotten children brats, or when the child died the manikin jumped out to show that is who that child possessed as an animatronic. But that is for other bits of story. Bad touch! We need an adult out there! One of the minigames that indirectly links the Purple Guy to the murders is the Foxy mini game where Foxy runs out to surprise kids. On his third run, you see the Purple Guy standing in the Foxy room, and when you reach the kids, they are all dead. Another is the Save Them mini game. In that one, you are Freddy being led by the puppet and there are dead children lying around. On a rare occasion, the Purple Guy comes out and attacks Freddy. Are there more than one Purple Guy? Since we only see the Purple Guy in the minigames, let’s study them a little closer. In FNAF2, we see the purple guy in 3 different mini games, each explained above. We also see Purple Guy in FNAF3 in all the end level mini games. If we examine the Purple Guy between each of the mini games, he doesn’t have a consistent appearance. One appearance is him standing straight with a big smile and empty eyes. This is the one you see associated with the dead children. Another is him hunched over with white eyes, a yellow patch on his chest and holding an object. Last one also shows him hunched over with white eyes, but no patch and no object. These two you see attacking the animatronics. Is this a police line up? So what does this mean? Well, it could be all the same guy, but the evidence suggest they could be different purple guys. The animatronics all seem to stay consistent between the mini games, so why does Purple Guy change? Also, why does one purple guy not have white eyes and stands straight. This leads me to two conclusions; 1, these are different purple guys, and 2, the empty eyed purple guy is the killer. Side note: I would also like to point out I noticed that the purple guys all seem to have different shades of purple. Now I don’t know if this is just the fault of the compression of saving the images, differences in the people's computers that saved the images, or just oversight by Scott. They could help my argument that these are different purple guys, but this evidence is shaky so I can’t depend on it. How is Purple Guy connected to Freddy’s? Let’s start with the most obvious purple guy, the one with the object and yellow patch. The Game Theorist makes the best argument of who this purple guy is. The yellow patch could be a badge, specifically a security guard badge, and the object looks to be the shape of an old time phone. The most accepted conclusion is that this purple guy is actually Phone Guy. I tend to agree with the evidence and will elaborate below. 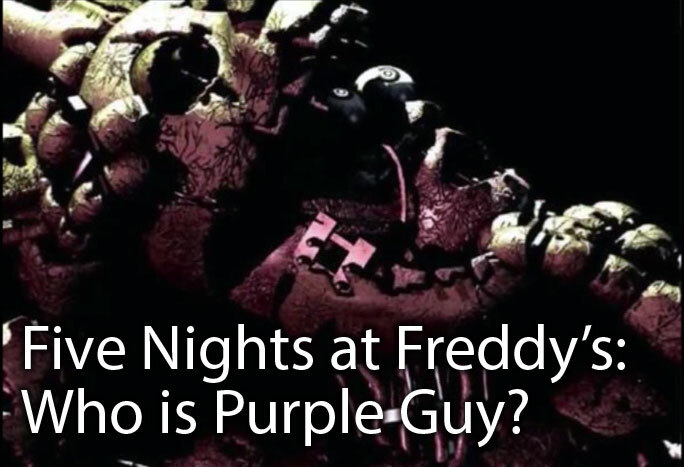 This means that this Purple Guy has intimate knowledge of Freddy’s and how everything works. This is shown when he can attack Freddy instead of running from him and from his extensive knowledge shared over the phone how the animatronics work, their weaknesses and how to deal with them. Next is FNAF3 Purple Guy. It’s not too much of a leap to suggest this is the same Purple Guy. He also has the hunched stance and the white eyes. He’s missing the badge and phone, but these are material objects and not physical descriptions. They both also show the same actions of attacking the animatronics and his knowledge of the hidden room. It’s not guaranteed, but it’s safe to assume that this is the same Purple Guy. Now, the last Purple Guy is different. If he is, that means he’s not Phone Guy. So how is he connected? Well, each of his murders is at Freddy’s. According to the story, the murderer used a Freddy suit to lure children to the restaurant and then murder them. It’s assumed he used the Golden Freddy suit because the parts have all been stripped out, probably to make it safe for him to use. According to FNAF3, the two golden suits allowed for people to wear, but were dangerous if used incorrectly. My guess is he wanted to make sure it didn’t kill him while he used it for his own evil purposes. Besides that, I didn’t see any evidence that also connects him, besides it being his favorite chill out and kill out spot. I do believe he is connected with the other Purple Guy, which I’ll explain below. How is Purple Guy and Phone Guy connected? Phone Guy is the person that you first listen to each night as he calls and leaves you some instructions and a bit of what’s going on. It’s not fully known who phone guy is, but with the evidence given throughout the three games, we can make a good hypothesis. Phone Guy knows how the animatronics work, he is also involved in hiring security guards. He explains he’s also the dayshift guard in FNAF1 and in FNAF2 says he’ll take the night shift for night 7. So Phone Guy is a security guard for Freddy’s. How Purple Guy is linked to Phone guy is that Purple Guy has what looks like a badge and phone in FNAF2 as he chases after Freddy in the mini game. He also has knowledge of the hidden room (so does Phone Guy) and knows how to dismantle the animatronics in FNAF3. These are strong points connecting the two characters. We can also now connect a name to Purple Guy, M. Fritz Smith. This is who was pinked slipped on Night 7 of FNAF2, when Phone Guy said he would take over. Night 5 and 6 was shown to be Jeremy Fitzgerald. The reasons of Smith’s termination notice are “Tampering with animatronics” and “Odor”. Who else could tamper with the electronics? Purple guy in FNAF3 by dismantling them. It’s also interesting to note that the pink slip says “note: First day on the job? Really?!? !” That means Phone Guy wasn’t always a security guard and wasn’t a guard until night 7 of FNAF 2. Wait, Mike Schmidt… M.Fritz Smith… Tampering with animatronics… ODOR?!?! Could this be the same guy? Are you Phone Guy in FNAF1 as well? But how could this be? Didn’t you talk with Phone Guy on the phone in the first game? That’s unpossible! I think I need to get to the biggest point of this post. Who is the Murdering Purple Guy? You are. Not so plain and not so simple. How can you be phone guy, purple guy, night guard and the murderer when there’s so much contradicting this? Even though you play as Jeremy Fitzgerald, you also play as M. Fritz Smith and Mike Schmidt as well, who I’ve established as Phone Guy and Purple Guy. But what about the Murdering Purple Guy? Isn’t he seperate? Well yes and no. I believe they are actually the same guy physically. Mentally, they are different purple guys. I believe you are suffering from many psychological issues causing you to have multiple personality disorder and hallucinations. As for the talking with yourself in FNAF1? Phone Guy said he wanted to leave a message. You are listening to a recording of Phone Guy in all three games. You never respond back, because you can’t. And the hallucinations you experience? The guard in FNAF3 has them, but it’s established that Springtrap is Purple Guy. That’s true, the hallucinations are different in FNAF3 than the other two games. They are caused from lack of air due to faulty closing vents. What about Jeremy Fitzgerald? Well, he could either be Purple Guy as well as another personality (Fitzgerald, Fritz) or could be another mentally disturbed person as well. It’s harder to explain Jeremy because he could also be the victim of ‘87. Another point to make is that Phone Guy likes Foxy, the murdering Purple Guy left Foxy the dead children surprise. And I also want to establish both night 7’s in FNAF1 and 2 was done by none other than the one person who knows the animatronics the best, You. It’s established that the animatronics were seeking revenge, as shown in FNAF3 in the true ending sequence. As for why Purple Guy killed all those children? I don’t know. I’m hoping this can be filled in with the next game. I’m also hoping FNAF 4 will also either confirm, or disprove this theory as well as I would love some closure. 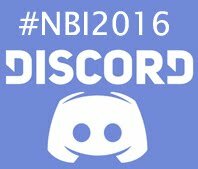 Scott Cawthon did a fantastic job with developing this game series. Here’s hoping he can keep up the momentum. I think purple guy has some sort of mental illnesses which causes hallucinations and multiple personalities, he’s also a psychopath with murderous intent in one personality. How did he get this way? I think it’s connected with Freddy’s. There’s no established time of how long Freddy was around. He could have been around for a long while, long enough for the purple guy to have been a kid. One to have experience some sort of childhood trauma involving Freddy. He could have seen something awful, could have been the target of child abuse and it seems to come up around November, which are both times you play night 7 in FNAF 1 and 2. I believe that is probably around the time of the Purple Guy’s own birthday, which would connect to why he murders birthday kids in November. Shadow Freddy. He seems like an hallucination, but he’s shown to lure the animatronics to the hidden room area where Purple Guy comes out and attacks them, kind of like using Golden Freddy to lure kids to their deaths. He’s also seen in FNAF2 rarely. I think this might be Purple Guy hiding in the golden Freddy suit, hence it would actually be purple Freddy. The shadow or purple Freddy is the same as golden Freddy with the same slouch and everything, except dark purple and with white glowing eyes, like Purple Guy. That might be how Purple Guy gets around without the animatronics getting him. But then why wasn’t golden Freddy in the hidden room when Purple Guy had to jump into Springtrap instead in FNAF3? I’m not sure, but I think there is a connection here between shadow / purple Freddy and Purple Guy. Let me know your theory and if this helps or contradicts something you noticed. I’d love to hear it. I can't begin to play this game....I watched a play thru video....and just about jumped outta my chair..nope...it's not for me...too scary....says the chick who has no problems with Drougers, Ghouls, Ghosts, Dragons, Death Claws and yes even Giant Spiders..but FNAF...is terrifying ...I think because I have no real defense , no weapon...no where to run ...any way glad you guys enjoy it. I don't like playing it either. The story is fun to piece together, though.